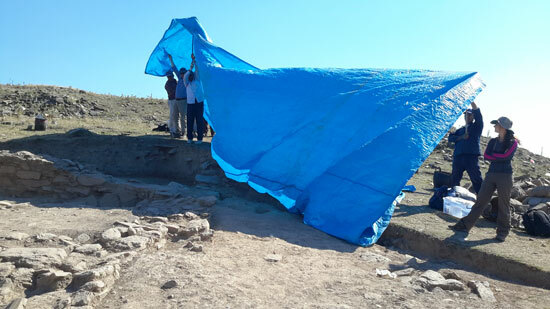 In addition to the exciting start to excavation at Kaymakçı, work continues on regional data collected over the course of ten field seasons under the auspices of the Central Lydia Archaeological Survey (CLAS). These data, which come in the form of pottery and other finds, archaeological features in the landscape, their associations to the region’s natural topography, subsurface geophysics, and ethnographic study, help us understand patterns in this dynamic region. Although we are not conducting regional survey this summer, work goes on as we prepare to publish our results. 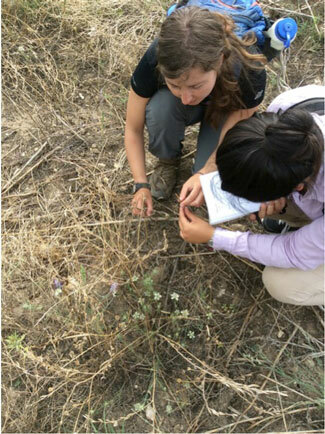 My days are primarily spent immersing myself in the database, writing, and synthesizing material in order to understand better human relationships with the landscapes of the Marmara Lake basin over time. This week the paleoethnobotany team started flotation of the soil samples that we have received from the field, and some have the potential to yield ancient plant material! 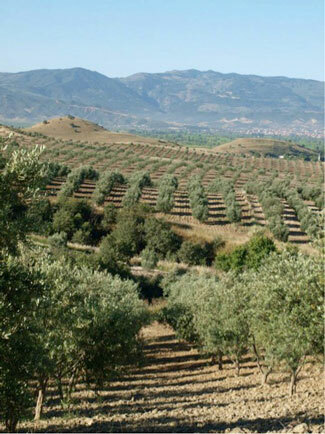 To understand further the environment of Kaymakçı, we have been studying its various plants. 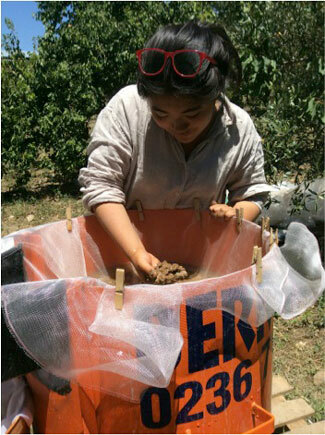 When we aren’t at the flotation tank or studying plants and excavating at Kaymakçı, we help to catalogue the ceramics that are brought back to the lab. The past few weeks have been very exciting in our area. We began finding features fairly quickly, and the excavations continue to reveal a complex set of activities. 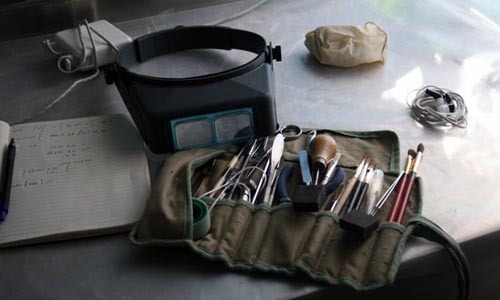 The entire team is honing their paperless archaeological recording, fieldwork, and material recovery techniques, including details of conservation and preservation. English and Turkish are being learned by all! Our toolkits are at the ready to respond to the material from this first year of excavation, helping illuminate the palimpsest of Kaymakçı. As the excavators work from the ground down, the conservation team needs to be prepared for anything. The material currently coming in from the field for conservation is thrillingly varied, ranging from evidence of an early twentieth-century military presence to ceramics and metals that hint at the site’s more ancient past. Posted in Conservation, Environmental, Survey, Voices.